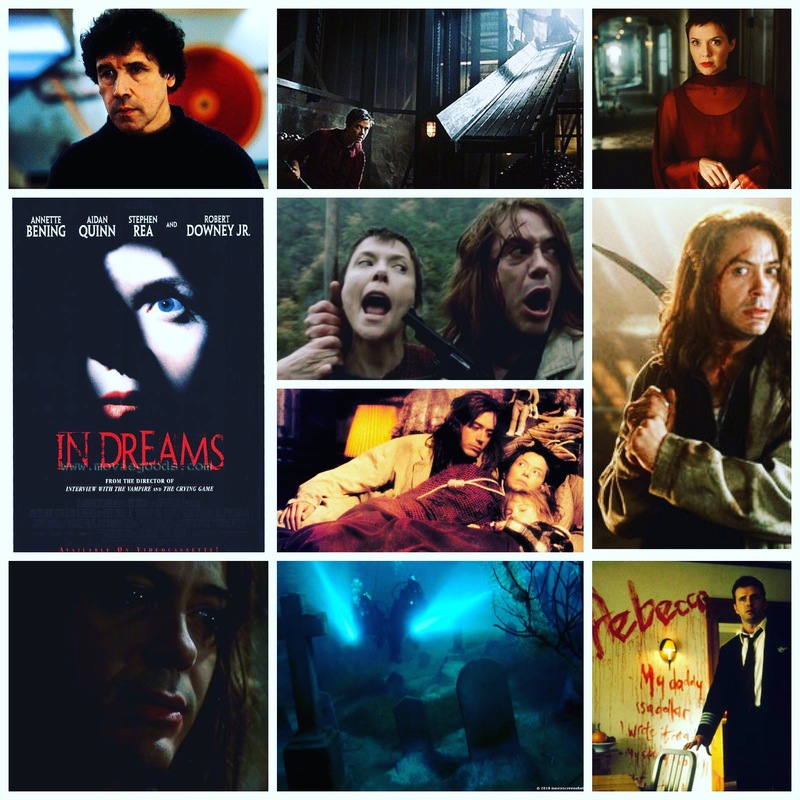 Neil Jordan’s In Dreams will blow you away as far as the style department goes, if being a little short up in terms of story. It’s your serial killer chiller given a supernatural twist a lá The Cell: Annette Bening plays a relatively innocuous woman who shares a sort of psychic bond with a murderer out there somewhere, his motives and actions related to her in atmospheric dream sequences that use specific imagery and sound to provide vague clues. The danger hits closer to home, however, when her own daughter is kidnapped by this killer. Her dreams are dismissed by her shrink (Stephen Rea) and a detective (Paul Guilfoyle), but when her pilot husband (Aiden Quinn) is also put in the crosshairs, she’s forced to use what scant, surreal information she has to track down the source and stop him. He’s played by Robert Downey Jr. of all people, who is already an odd enough choice before you take into account the mop of dreadlocks he’s adorned in once he does show up. He’s menacing enough in his own Downey way, but I can’t help feel it was a bit of a stunt cast on Jordan’s part. The main draw and enjoyment I got out of it is the hyper stylized, meticulously lit dream sequences that could be lifted right off the screen and put on canvas, they’re simply gorgeous. The story just can’t seem to keep up with the visuals though, it’s a retread we’ve seen many a time without much deviation from the path. Still, the colour palette and stark imagery hold enough power to deem this a winner in that respect.